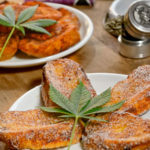 Once a marijuana grow is started, the canna-growers must be prepared to deal with the dreaded pests and diseases that can attack their marijuana plants. We previously talked about of the plagues that can attack your marijuana grow and we continue emphasizing that the best way to deal with any problem is to prevent it. Chemical insecticides are usually very toxic and harmful. These products can eliminate any plague that attacks our crops but can also damage the ecosystem. Furthermore, the remains that could be present in the plant can cause harmful effects on the consumers health. Therefore, we want to talk about the ways to prevent pests with natural solutions for the cannabis grows. The first tip we recommend before starting your new crop is to thoroughly clean the growing area and all the material that was used in the previous crop (trays, pots, pipettes, stakes, etc.). This will eliminate any fungus or disease that may be present in the growing area, or in the material, and prevent it from spreading into the new grow. You will have to be very responsible and careful throughout the grow. You must keep your grow area clear from dead leaves, plant debris, stagnant waters and other detritus. Another way to prevent consist in choosing seeds from vigorous strains, which are resistant to of fungi and diseases. Avoid introducing plants from other gardens without checking and previously ensuring that they are free from pests and diseases as they can attack the rest of the healthy grow. Periodic fumigations with ecological insecticides are a good option due to their low toxicity. Marijuana plants can be safely fumigated while growing if they haven’t developed buds yet. Remember that the best way to attack a plague or disease is to prevent it from the beginning considering all these preventive tips that we provide. Why spraying our beloved cannabis plants with chemicals when we have natural solutions? Many cannabis growers avoid the use of chemical insecticides and pesticides to improve the natural qualities of plants, as well as to maintain our ecosystem safe. There are many natural alternatives that will scare away the pests, fungi and mould that dare to challenge the power of cannabis. First off, it is important to point out that there are many different insects that love to feed on marijuana plants. Several bugs have specific effects on plants and need to be treated accordingly. For example, when larvae can be seen by the naked eye dragging along the leaves, you have to manually remove as many of them as possible before treating the plants. 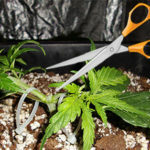 It is necessary to deal with worms before planting cannabis outdoors because they eat the stem and decapitate the entire plant with only a couple of bites. 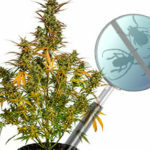 What should we do if we detect an infestation or disease in our marijuana plants? When an infestation or disease is suspected, the first step to take is to identify the source. Having a small microscope that can zoom in on small insects and identify the eggs they lay is helpful. From 7€ you can get one and potentially save the whole crop. The second step is asking in your trusted growshop or asking in forums for the help of growing experts. They will be able to help you to identify the problem if the cause is unknown. Cannabis growers can be of great help because of their experience and they usually give you the help you need. Once the problem (pest or disease) has been identified, the best is to manually eliminate the pest, if possible. You can also try spraying plants with water. This can help to eliminate, even partially, some plant pests. It is very important to keep in mind that water spraying can be effective, but it should not be done during the flowering stage as it could stimulate the appearance of mould in the flowers. The leaves can be cleaned with water and natural pesticides and insecticides during the flowering stage but remember to avoid the flowers. Some great allies to repel plagues. Neem oil (Azaridactin 3.2%) can be applied to leaves to repel and kill pests. It is a natural product, but should not touch the flowers, because it alters their quality. The Spruzit (Cabbage oil + pyrethrin) is another natural substance that fights pests. It is a completely organic product and generally safe for us. It is very effective and should be sprayed on plants. Remember to avoid spraying anything on the buds. You will find also other methods, such as diatomaceous earth. This powder is spread on the soil around the plant. It is a harmless product for humans and animals. However, it is a very effective insecticide to combat all kinds of insects. We would love to give you tips and tricks to naturally and organically eliminate any infestation that destroys the cannabis garden. However, this article is intended to simply cover the basic concepts of using natural remedies. Remember, whenever you suspect an infestation, identify it as quickly as possible, talk to trusted professionals and growers, buy natural remedies (even better before to start growing the plants), and get rid of pests. Always do this as quickly as possible so that the damage does not get out of control. Relacionados: ¿Ya sabes que semillas vas a plantar?|El ciclo de cultivo de la Marihuana|¿Cuántas plantas puedo cultivar en interior por metro cuadrado?